Most people, if not everyone, hates cockroaches. In fact, the mere sight of them causes repulsion and disgust. Today, we know that cockroaches carry human pathogens, including Salmonella and E. coli that cause diseases such as food poisoning and diarrhea. 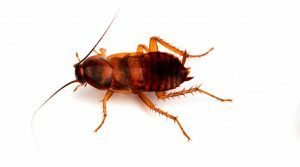 This article will help one to identify the different types of cockroaches commonly found in homes to ensure the correct pest control measures are implemented to eradicate them. Cockroaches have existed for millions of years and are closely related to termites and the praying mantis. There are thousands of species around the world but many of these cockroaches do not inhabit human environments. The most common species of cockroach include the German cockroach, American cockroach, brown-banded cockroach, and Oriental cockroach. The German cockroach is one of the most common types of cockroach. These roaches measure between 13 and 16 mm in length, live up to a year, and produce more eggs than any other species. 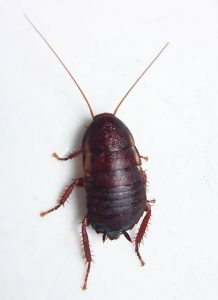 These cockroaches have a pale brown body with two dark-brown stripes behind the head. American cockroaches grow up to 53 mm in length and are the largest cockroaches that are commonly found in homes. Their coloring spans a range from reddish-brown to brown and they have bands of light yellow around the shield behind the head. This species of cockroach has wings and they are capable of flying short distances. The American cockroach can live up to two years and they are most often found in homes near food supplies or stored food. The Brown-Banded species of cockroaches grow to about 13 mm in length. Females have reddish-brown to dark brown wings while the males have dark brown wings at the base that lighten as the wings extend to the tip. Only the males can fly. Like the other species of cockroach, the Brown-banded cockroach also has two bands of light yellow but instead of being behind the head they run across their bodies. This is a short-lived cockroach variety. The average life cycle is a mere 3 to 11 months. The Oriental species of cockroach has a dark-brown or black glossy body. Males generally measure less than 25 mm long while females grow as long as 32 mm in length. Neither males nor females have the capacity to fly. Their life cycle is very short, only living up to 6 months. Oriental cockroaches generally feed on organic matter. 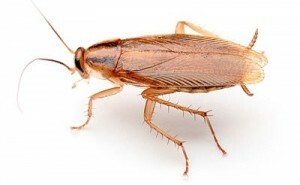 The Florida Woods species of cockroach is also referred to as the “stinking cockroach.” When a predator threatens this roach, it releases a foul-smelling liquid. In Florida, this species loves to hide under palmetto leaves and that is why the Florida Woods cockroach is also known as the palmetto bug. These cockroaches are quite large and measure in at 3 to 4 cm. Although the palmetto bug may look to be wingless, it has short vestigial wings. These cockroaches are found outdoors in trees, piles of leaves or woodpiles. They are attracted to humid, warm environments such as coastal states such as Florida, Georgia, Alabama, Mississippi, and in the West Indies. Although they mostly stay outdoors, they can enter homes in search of warmth. Once in a home, they are most likely to be found in bathrooms, basements or near leaking pipes. Although there are thousands of different species of cockroaches, only a few are associated with human habitats. If you discover cockroaches in your home, you should contact a pest control specialist to discuss the best solutions to exterminate them.